For me, one of the scariest parts about having my colon removed and getting an ostomy was thinking that I would never feel comfortable in my own skin again. I was afraid I would no longer feel like myself as I would be stuck wearing oversized and unattractive clothes. I’m so thankful I was wrong. What has your experience been? 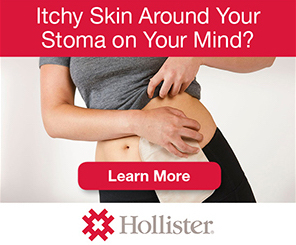 Have you learned any tips for dressing with an ostomy? Any clothes you find work well? Or ones that don’t? This entry was posted in Ostomy, Out of the Bag, Stolen Colon, Ulcerative Colitis and tagged clothes, colectomy, colon, colon bag, Crohn’s disease, fashion, health, IBD, ibd blog, ileostomy, ileostomy bag, ileostomy blog, ostomy bag, ostomy blog, ostomy fashion, stoma on August 10, 2014 by Stephanie Hughes. But I did buy a maternity belt. I’ve been having to get used to a new way of dressing. It’s not like I have to get a whole new wardrobe, but I’m more conscious of wearing tighter shirts and such. When I go shopping, I focus on tops that flare or fit a little looser. Which seems to be in style, because I’ve had no problem finding lots of option. I’ve discovered that dresses are the easiest to wear. (Not something I’m complaining about. Any excuse to buy new dresses is fine with me.) But the problem with dresses is that they don’t provide any support for my ostomy bag. Most of the time it’s not a problem, but if I’m out walking around for a while, it can start to get uncomfortable and cause some stomach pain. Then the other day, I read a blog post from Lauren on Girls-with-guts.com. She mentioned that she used a maternity belt to give herself some extra support. So I went out yesterday and found one for myself and the difference has been amazing. It gives me extra support. It’s comfortable. It helps keep things flat and smooth so it doesn’t show as much. It can get bunched up and I’m sure on those 100-degree North Carolina days that it’ll be a bit more of an inconvenience, but it’s good to have found something that’ll help out for the time being. Here’s a picture of me modeling my new belly belt. I used it with my jeans here since I figured it wouldn’t be appropriate to lift up my skirt. But I’ll probably end up using it with pants, too, because like I said, it helps smooth things out and keep it in place. I still have some issues of feeling like everyone’s looking at me and wondering, “what’s that? ?” even though I know that’s ridiculous. But I’m appreciative of being able to find something that makes me feel a little more comfortable in my own skin. This entry was posted in Ostomy, Stolen Colon, Surgery, Ulcerative Colitis and tagged colectomy, colon bag, Crohn’s disease, fashion, IBD, ibd blog, ileostomy, ileostomy bag, ileostomy blog, life, ostomy bag, ostomy blog, recovery, stoma on May 22, 2012 by Stephanie Hughes.